Brake Actuated Limited Slip Differential, WiFi Hotspot, iPod/MP3 Input, ROOF RACK CROSS BARS, Back-Up Camera, Smart Device Integration. LE trim, SILVER SKY METALLIC exterior and BLACK interior. EPA 35 MPG Hwy/26 MPG City! CLICK ME!======KEY FEATURES INCLUDE: Back-Up Camera, iPod/MP3 Input, Onboard Communications System, Lane Keeping Assist, Smart Device Integration, Brake Actuated Limited Slip Differential, WiFi Hotspot. Rear Spoiler, MP3 Player, Privacy Glass, Keyless Entry, Steering Wheel Controls. ======OPTION PACKAGES: ROOF RACK CROSS BARS. Toyota LE with SILVER SKY METALLIC exterior and BLACK interior features a 4 Cylinder Engine with 203 HP at 6600 RPM*. ======MORE ABOUT US: Toyota of Hollywood is a full-service, premier dealership that's committed to serving Toyota enthusiasts in the Los Angeles and Hollywood area. You can count on Toyota of Hollywood. As part of Southern California's trusted automotive group, LACarGUY.com, we're committed to bringing you some of the highest quality cars, our best deals for your dollar, and the customer service you deserve. Horsepower calculations based on trim engine configuration. Fuel economy calculations based on original manufacturer data for trim engine configuration. Please confirm the accuracy of the included equipment by calling us prior to purchase. BLUE FLAME exterior and BLACK interior, LE trim. WiFi Hotspot, Brake Actuated Limited Slip Differential, Smart Device Integration, Back-Up Camera, ALL WEATHER LINER PACKAGE, iPod/MP3 Input. FUEL EFFICIENT 35 MPG Hwy/26 MPG City! CLICK NOW! KEY FEATURES INCLUDE Back-Up Camera, iPod/MP3 Input, Onboard Communications System, Lane Keeping Assist, Smart Device Integration, WiFi Hotspot, Brake Actuated Limited Slip Differential. Rear Spoiler, MP3 Player, Keyless Entry, Privacy Glass, Child Safety Locks. OPTION PACKAGES ROOF RACK CROSS BARS, ALL WEATHER LINER PACKAGE Cargo Liner, All Weather Floor Liners. Toyota LE with BLUE FLAME exterior and BLACK interior features a 4 Cylinder Engine with 203 HP at 6600 RPM*. VISIT US TODAY Toyota of Hollywood is a full-service, premier dealership that's committed to serving Toyota enthusiasts in the Los Angeles and Hollywood area. You can count on Toyota of Hollywood. As part of Southern California's trusted automotive group, LACarGUY.com, we're committed to bringing you some of the highest quality cars, our best deals for your dollar, and the customer service you deserve. Horsepower calculations based on trim engine configuration. Fuel economy calculations based on original manufacturer data for trim engine configuration. Please confirm the accuracy of the included equipment by calling us prior to purchase. MAGNETIC GRAY METALLIC exterior and BLACK interior, LE trim. WiFi Hotspot, Brake Actuated Limited Slip Differential, BLIND SPOT MONITOR W/LANE CHANGE ASSI... Back-Up Camera, iPod/MP3 Input. EPA 35 MPG Hwy/26 MPG City! CLICK NOW!======KEY FEATURES INCLUDE: Back-Up Camera, iPod/MP3 Input, Onboard Communications System, Smart Device Integration, Brake Actuated Limited Slip Differential, WiFi Hotspot. Rear Spoiler, MP3 Player, Privacy Glass, Keyless Entry, Steering Wheel Controls. ======OPTION PACKAGES: BLIND SPOT MONITOR W/LANE CHANGE ASSIST Blind Spot Monitor, rear cross traffic alert and lane change assist. Toyota LE with MAGNETIC GRAY METALLIC exterior and BLACK interior features a 4 Cylinder Engine with 203 HP at 6600 RPM*. ======MORE ABOUT US: Toyota of Hollywood is a full-service, premier dealership that's committed to serving Toyota enthusiasts in the Los Angeles and Hollywood area. You can count on Toyota of Hollywood. As part of Southern California's trusted automotive group, LACarGUY.com, we're committed to bringing you some of the highest quality cars, our best deals for your dollar, and the customer service you deserve. Horsepower calculations based on trim engine configuration. Fuel economy calculations based on original manufacturer data for trim engine configuration. Please confirm the accuracy of the included equipment by calling us prior to purchase. LE trim, MAGNETIC GRAY METALLIC exterior and BLACK interior. WiFi Hotspot, Brake Actuated Limited Slip Differential, Back-Up Camera, BLIND SPOT MONITOR W/LANE CHANGE ASSI... iPod/MP3 Input. EPA 35 MPG Hwy/26 MPG City! CLICK ME!======KEY FEATURES INCLUDE: Back-Up Camera, iPod/MP3 Input, Onboard Communications System, Smart Device Integration, Brake Actuated Limited Slip Differential, WiFi Hotspot Rear Spoiler, MP3 Player, Privacy Glass, Keyless Entry, Steering Wheel Controls. ======OPTION PACKAGES: BLIND SPOT MONITOR W/LANE CHANGE ASSIST Blind Spot Monitor, rear cross traffic alert and lane change assist. Toyota LE with MAGNETIC GRAY METALLIC exterior and BLACK interior features a 4 Cylinder Engine with 203 HP at 6600 RPM*. ======BUY FROM AN AWARD WINNING DEALER: Toyota of Hollywood is a full-service, premier dealership that's committed to serving Toyota enthusiasts in the Los Angeles and Hollywood area. You can count on Toyota of Hollywood. As part of Southern California's trusted automotive group, LACarGUY.com, we're committed to bringing you some of the highest quality cars, our best deals for your dollar, and the customer service you deserve. Horsepower calculations based on trim engine configuration. Fuel economy calculations based on original manufacturer data for trim engine configuration. Please confirm the accuracy of the included equipment by calling us prior to purchase. LE trim, MAGNETIC GRAY METALLIC exterior and BLACK interior. WiFi Hotspot, Brake Actuated Limited Slip Differential, Back-Up Camera, BLIND SPOT MONITOR W/LANE CHANGE ASSI... iPod/MP3 Input. EPA 35 MPG Hwy/26 MPG City! CLICK ME!======KEY FEATURES INCLUDE: Back-Up Camera, iPod/MP3 Input, Onboard Communications System, Smart Device Integration, Brake Actuated Limited Slip Differential, WiFi Hotspot. Rear Spoiler, MP3 Player, Privacy Glass, Keyless Entry, Steering Wheel Controls. ======OPTION PACKAGES: BLIND SPOT MONITOR W/LANE CHANGE ASSIST Blind Spot Monitor, rear cross traffic alert and lane change assist. Toyota LE with MAGNETIC GRAY METALLIC exterior and BLACK interior features a 4 Cylinder Engine with 203 HP at 6600 RPM*. ======WHO WE ARE: Toyota of Hollywood is a full-service, premier dealership that's committed to serving Toyota enthusiasts in the Los Angeles and Hollywood area. You can count on Toyota of Hollywood. As part of Southern California's trusted automotive group, LACarGUY.com, we're committed to bringing you some of the highest quality cars, our best deals for your dollar, and the customer service you deserve. Horsepower calculations based on trim engine configuration. Fuel economy calculations based on original manufacturer data for trim engine configuration. Please confirm the accuracy of the included equipment by calling us prior to purchase. LE trim, SILVER SKY METALLIC exterior and BLACK interior. FUEL EFFICIENT 35 MPG Hwy/26 MPG City! WiFi Hotspot, Brake Actuated Limited Slip Differential, BLIND SPOT MONITOR W/LANE CHANGE ASSI... Back-Up Camera, iPod/MP3 Input AND MORE!======KEY FEATURES INCLUDE: Back-Up Camera, iPod/MP3 Input, Onboard Communications System, Smart Device Integration, Brake Actuated Limited Slip Differential, WiFi Hotspot. Rear Spoiler, MP3 Player, Privacy Glass, Keyless Entry, Steering Wheel Controls. ======OPTION PACKAGES: BLIND SPOT MONITOR W/LANE CHANGE ASSIST Blind Spot Monitor, rear cross traffic alert and lane change assist. Toyota LE with SILVER SKY METALLIC exterior and BLACK interior features a 4 Cylinder Engine with 203 HP at 6600 RPM*. ======BUY FROM AN AWARD WINNING DEALER: Toyota of Hollywood is a full-service, premier dealership that's committed to serving Toyota enthusiasts in the Los Angeles and Hollywood area. You can count on Toyota of Hollywood. As part of Southern California's trusted automotive group, LACarGUY.com, we're committed to bringing you some of the highest quality cars, our best deals for your dollar, and the customer service you deserve. Horsepower calculations based on trim engine configuration. Fuel economy calculations based on original manufacturer data for trim engine configuration. Please confirm the accuracy of the included equipment by calling us prior to purchase. SILVER SKY METALLIC exterior and BLACK interior, LE trim. FUEL EFFICIENT 35 MPG Hwy/26 MPG City! WiFi Hotspot, Brake Actuated Limited Slip Differential, BLIND SPOT MONITOR W/LANE CHANGE ASSI... Back-Up Camera, iPod/MP3 Input SEE MORE!======KEY FEATURES INCLUDE: Back-Up Camera, iPod/MP3 Input, Onboard Communications System, Smart Device Integration, Brake Actuated Limited Slip Differential, WiFi Hotspot. Rear Spoiler, MP3 Player, Privacy Glass, Keyless Entry, Steering Wheel Controls. ======OPTION PACKAGES: BLIND SPOT MONITOR W/LANE CHANGE ASSIST Blind Spot Monitor, rear cross traffic alert and lane change assist. Toyota LE with SILVER SKY METALLIC exterior and BLACK interior features a 4 Cylinder Engine with 203 HP at 6600 RPM*. ======WHO WE ARE: Toyota of Hollywood is a full-service, premier dealership that's committed to serving Toyota enthusiasts in the Los Angeles and Hollywood area. You can count on Toyota of Hollywood. As part of Southern California's trusted automotive group, LACarGUY.com, we're committed to bringing you some of the highest quality cars, our best deals for your dollar, and the customer service you deserve. Horsepower calculations based on trim engine configuration. Fuel economy calculations based on original manufacturer data for trim engine configuration. Please confirm the accuracy of the included equipment by calling us prior to purchase. LE trim. WiFi Hotspot, Brake Actuated Limited Slip Differential, Back-Up Camera, iPod/MP3 Input, Onboard Communications System, Smart Device Integration, Lane Keeping Assist. FUEL EFFICIENT 35 MPG Hwy/26 MPG City! CLICK NOW!======KEY FEATURES INCLUDE: Back-Up Camera, iPod/MP3 Input, Onboard Communications System, Lane Keeping Assist, Smart Device Integration, Brake Actuated Limited Slip Differential, WiFi Hotspot. Rear Spoiler, MP3 Player, Privacy Glass, Keyless Entry, Steering Wheel Controls. ======MORE ABOUT US: Toyota of Hollywood is a full-service, premier dealership that's committed to serving Toyota enthusiasts in the Los Angeles and Hollywood area. You can count on Toyota of Hollywood. As part of Southern California's trusted automotive group, LACarGUY.com, we're committed to bringing you some of the highest quality cars, our best deals for your dollar, and the customer service you deserve. Fuel economy calculations based on original manufacturer data for trim engine configuration. Please confirm the accuracy of the included equipment by calling us prior to purchase. LE trim, RUBY FLARE PEARL exterior and BLACK interior. FUEL EFFICIENT 35 MPG Hwy/26 MPG City! WiFi Hotspot, Brake Actuated Limited Slip Differential, Smart Device Integration, Back-Up Camera, ALL WEATHER LINER PACKAGE (DISCONTINU... CLICK ME! KEY FEATURES INCLUDE Back-Up Camera, iPod/MP3 Input, Onboard Communications System, Lane Keeping Assist, Smart Device Integration, WiFi Hotspot, Brake Actuated Limited Slip Differential. Rear Spoiler, MP3 Player, Keyless Entry, Privacy Glass, Child Safety Locks. OPTION PACKAGES ROOF RACK CROSS BARS, ALL WEATHER LINER PACKAGE (DISCONTINUED) Cargo Liner, All Weather Floor Liners. Toyota LE with RUBY FLARE PEARL exterior and BLACK interior features a 4 Cylinder Engine with 203 HP at 6600 RPM*. WHO WE ARE Toyota of Hollywood is a full-service, premier dealership that's committed to serving Toyota enthusiasts in the Los Angeles and Hollywood area. You can count on Toyota of Hollywood. As part of Southern California's trusted automotive group, LACarGUY.com, we're committed to bringing you some of the highest quality cars, our best deals for your dollar, and the customer service you deserve. Horsepower calculations based on trim engine configuration. Fuel economy calculations based on original manufacturer data for trim engine configuration. Please confirm the accuracy of the included equipment by calling us prior to purchase. WiFi Hotspot, Brake Actuated Limited Slip Differential, Smart Device Integration, BLIND SPOT MONITOR W/LANE CHANGE ASSI... ROOF RACK CROSS BARS, iPod/MP3 Input. LE trim, MIDNIGHT BLACK METALLIC exterior and BLACK interior. SEE MORE! KEY FEATURES INCLUDE Back-Up Camera, iPod/MP3 Input, Onboard Communications System, WiFi Hotspot, Brake Actuated Limited Slip Differential, Smart Device Integration. Rear Spoiler, MP3 Player, Privacy Glass, Keyless Entry, Steering Wheel Controls. OPTION PACKAGES BLIND SPOT MONITOR W/LANE CHANGE ASSIST Blind Spot Monitor, rear cross traffic alert and lane change assist, ROOF RACK CROSS BARS, ALL WEATHER LINER PACKAGE Cargo Liner, All Weather Floor Liners. Toyota LE with MIDNIGHT BLACK METALLIC exterior and BLACK interior features a 4 Cylinder Engine with 203 HP at 6600 RPM*. BUY FROM AN AWARD WINNING DEALER Toyota of Hollywood is a full-service, premier dealership that's committed to serving Toyota enthusiasts in the Los Angeles and Hollywood area. You can count on Toyota of Hollywood. As part of Southern California's trusted automotive group, LACarGUY.com, we're committed to bringing you some of the highest quality cars, our best deals for your dollar, and the customer service you deserve. Horsepower calculations based on trim engine configuration. Please confirm the accuracy of the included equipment by calling us prior to purchase. LE trim, MIDNIGHT BLACK METALLIC exterior and BLACK interior. Brake Actuated Limited Slip Differential, Smart Device Integration, WiFi Hotspot, BLIND SPOT MONITOR W/LANE CHANGE ASSI... ALL WEATHER LINER PACKAGE, iPod/MP3 Input AND MORE! KEY FEATURES INCLUDE Back-Up Camera, iPod/MP3 Input, Onboard Communications System, WiFi Hotspot, Brake Actuated Limited Slip Differential, Smart Device Integration. Rear Spoiler, MP3 Player, Privacy Glass, Keyless Entry, Steering Wheel Controls. OPTION PACKAGES BLIND SPOT MONITOR W/LANE CHANGE ASSIST Blind Spot Monitor, rear cross traffic alert and lane change assist, ROOF RACK CROSS BARS, ALL WEATHER LINER PACKAGE Cargo Liner, All Weather Floor Liners. Toyota LE with MIDNIGHT BLACK METALLIC exterior and BLACK interior features a 4 Cylinder Engine with 203 HP at 6600 RPM*. WHY BUY FROM US Toyota of Hollywood is a full-service, premier dealership that's committed to serving Toyota enthusiasts in the Los Angeles and Hollywood area. You can count on Toyota of Hollywood. As part of Southern California's trusted automotive group, LACarGUY.com, we're committed to bringing you some of the highest quality cars, our best deals for your dollar, and the customer service you deserve. Horsepower calculations based on trim engine configuration. Please confirm the accuracy of the included equipment by calling us prior to purchase. SILVER SKY METALLIC exterior and BLACK interior, LE trim. Brake Actuated Limited Slip Differential, Smart Device Integration, WiFi Hotspot, BLIND SPOT MONITOR W/LANE CHANGE ASSI... FUEL EFFICIENT 35 MPG Hwy/26 MPG City! SEE MORE!======KEY FEATURES INCLUDE: Back-Up Camera, iPod/MP3 Input, Onboard Communications System, WiFi Hotspot, Brake Actuated Limited Slip Differential, Smart Device Integration Rear Spoiler, MP3 Player, Privacy Glass, Keyless Entry, Steering Wheel Controls. ======OPTION PACKAGES: BLIND SPOT MONITOR W/LANE CHANGE ASSIST Blind Spot Monitor, rear cross traffic alert and lane change assist, ROOF RACK CROSS BARS, ALL WEATHER LINER PACKAGE (DISCONTINUED) Cargo Liner, All Weather Floor Liners. Toyota LE with SILVER SKY METALLIC exterior and BLACK interior features a 4 Cylinder Engine with 203 HP at 6600 RPM*. ======MORE ABOUT US: Toyota of Hollywood is a full-service, premier dealership that's committed to serving Toyota enthusiasts in the Los Angeles and Hollywood area. You can count on Toyota of Hollywood. As part of Southern California's trusted automotive group, LACarGUY.com, we're committed to bringing you some of the highest quality cars, our best deals for your dollar, and the customer service you deserve. Horsepower calculations based on trim engine configuration. Fuel economy calculations based on original manufacturer data for trim engine configuration. Please confirm the accuracy of the included equipment by calling us prior to purchase. Moonroof, Blind Spot Monitor, Brake Actuated Limited Slip Differential, WiFi Hotspot, Lane Keeping Assist, iPod/MP3 Input, Onboard Communications System. XLE trim, SUPER WHITE exterior and BLACK interior. EPA 35 MPG Hwy/26 MPG City! SEE MORE!======KEY FEATURES INCLUDE: Sunroof, Back-Up Camera, iPod/MP3 Input, Onboard Communications System, Aluminum Wheels, Keyless Start, Dual Zone A/C, Smart Device Integration, Cross-Traffic Alert, Brake Actuated Limited Slip Differential, Blind Spot Monitor, Lane Keeping Assist, WiFi Hotspot Rear Spoiler, MP3 Player, Remote Trunk Release, Keyless Entry, Privacy Glass. Toyota XLE with SUPER WHITE exterior and BLACK interior features a 4 Cylinder Engine with 203 HP at 6600 RPM*. ======OUR OFFERINGS: Toyota of Hollywood is a full-service, premier dealership that's committed to serving Toyota enthusiasts in the Los Angeles and Hollywood area. You can count on Toyota of Hollywood. As part of Southern California's trusted automotive group, LACarGUY.com, we're committed to bringing you some of the highest quality cars, our best deals for your dollar, and the customer service you deserve. Horsepower calculations based on trim engine configuration. Fuel economy calculations based on original manufacturer data for trim engine configuration. Please confirm the accuracy of the included equipment by calling us prior to purchase. Moonroof, Blind Spot Monitor, Brake Actuated Limited Slip Differential, WiFi Hotspot, Lane Keeping Assist, iPod/MP3 Input. FUEL EFFICIENT 35 MPG Hwy/26 MPG City! XLE trim, MAGNETIC GRAY METALLIC exterior and BLACK interior AND MORE!======KEY FEATURES INCLUDE: Sunroof, Back-Up Camera, iPod/MP3 Input, Onboard Communications System, Aluminum Wheels, Keyless Start, Dual Zone A/C, Smart Device Integration, Cross-Traffic Alert, Brake Actuated Limited Slip Differential, Blind Spot Monitor, Lane Keeping Assist, WiFi Hotspot Rear Spoiler, MP3 Player, Remote Trunk Release, Keyless Entry, Privacy Glass. Toyota XLE with MAGNETIC GRAY METALLIC exterior and BLACK interior features a 4 Cylinder Engine with 203 HP at 6600 RPM*. ======WHO WE ARE: Toyota of Hollywood is a full-service, premier dealership that's committed to serving Toyota enthusiasts in the Los Angeles and Hollywood area. You can count on Toyota of Hollywood. As part of Southern California's trusted automotive group, LACarGUY.com, we're committed to bringing you some of the highest quality cars, our best deals for your dollar, and the customer service you deserve. Horsepower calculations based on trim engine configuration. Fuel economy calculations based on original manufacturer data for trim engine configuration. Please confirm the accuracy of the included equipment by calling us prior to purchase. Take a trip up to the San Gabriel Mountains, or just cruise down Hollywood Boulevard and take in the sights in a new Toyota RAV4. Perfect for urban city-slickers and outdoor adventurers alike, the new 2019 Toyota RAV4 in Hollywood gives you the best in style, comfort, and crossover performance. Stop into Toyota of Hollywood in California to explore our inventory of new Toyota RAV4 models for sale today. 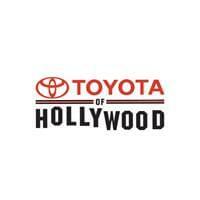 Want to know more about why your new Toyota RAV4 in Hollywood, CA is a great purchase? Check out some of the highlights of this excellent crossover from Toyota. Illuminate your journey with LED lights, and turn heads with the exterior’s exquisite detailing and elegant lines. See why the experts U.S. News and World Report recommends the Toyota RAV4 in Hollywood, CA. Reach out to us at 323-300-6763 to speak to a sales representative, or submit a contact form to schedule your appointment. We’ll see you soon in our showroom at 6000 Hollywood Blvd in Hollywood, CA!